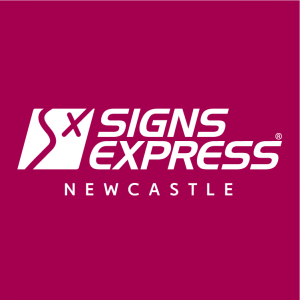 We offer a complete service from design, manufacture and fitting across a wide range of signs and graphics solutions, Signs Express (Newcastle North) is part of a nationwide network of sign production centres which has been established for 25 years. Our customers receive comprehensive advice and support to ensure the specification of signs and graphics are suited to their needs and budget. 95% of customers in a recent survey of 1000 said they would recommend Signs Express, testament to our importance placed on customer satisfaction. We help organisations of all sizes and industries with the signage requirements. From fascia signs to vehicle graphics or window displays and directory systems, our experienced sign makers are able to assess customers’ needs to specify the correct signs and graphics; always looking to achieve the best possible results. From shop signs to vehicle graphics, health and safety signs to promotional banners, Signs Express is on hand; delivering expertise in signs and graphics solutions.